BLAEU, J. - Canibales Insulae. Canibales Insulae. 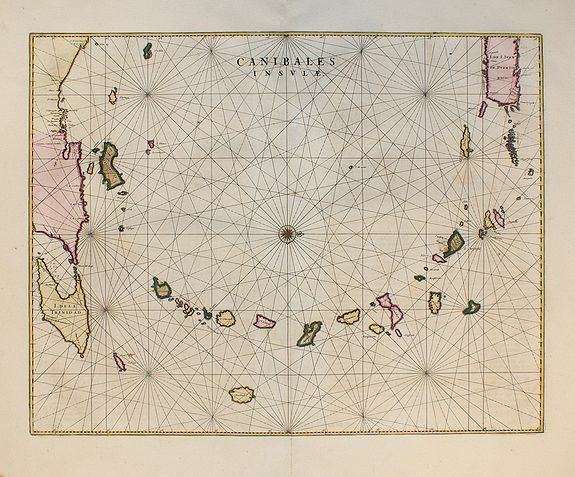 - BLAEU, J.
Map maker : BLAEU, J.. Size : 16.1 x 20.9 inches. / 41.0 x 53.0 cm. Condition : A few unnoticeable spots of paper thinness on the right part and along the centerfold and a worm hole near the center of the sheet. Otherwise in mint condition.